What new Sailor Guardians should be introduced in a new season? None - There are enough Sailor Guardians as it is! Citation, please? There’s a senshi named after the Cosmos which contains more than a billion celestial objects within it. And Sailor Moon and Sailor Chibi MOON literally fight together for almost the majority of the franchise. The Cosmos counts as one Celestial Object though even though it is a compilation of many celestial objects it still as a grouping counts as one celestial object. Just like with Sailor Galaxia even though she is the Senshi of the Milky Way Galaxy which includes many celestial objects as a Galaxy it still counts as a single celestial object. Also Sailor Moon and Sailor Chibi Moon are special circumstances. Sailor Chibi Moon is from the future of Crystal Tokyo where her mother aka Usagi is no longer Sailor Moon but has passed on the Sailor Crystal if you will to her daughter who of course is Chibiusa. That is why she is sent back time to train for the time when she is older when she will fully take on her mother's mantle as Sailor Moon. Also I would add for Sailor Cosmos that I don't think that she is just Senshi of this particular universe but rather Senshi of all that exists. As the word Cosmos can be used to refer to all that exists. Basically she is the Senshi of Creation and existence as we know it where as Sailor Chaos is the opposite and the Senshi of Uncreation, Complete Destruction and non existence. Got it, so this is all simply your opinion and headcanon vs. hard canon fact. Noted! I would prefer that we not bring any new senshi into a new series tbh, at least not for the first new season/arc! It's been so long, I feel like it would be better to start slow and I've always wanted a season/arc that focuses almost entirely on what happens from the end of Stars and all the way up to NQS taking the Cosmos form (which isn't confirmed but that's my theory lol), I feel like new senshi would take time away from the current cast and especially since it's been such a long time, I'd like something that focuses on the existing, main senshi (and a villain) perhaps with the asteroid senshi. Well personally, I've always been really interested in expanding upon what happens after Stars, but I think with the Classic format, we would need like...four or five seasons to cover all of that considering the amount of time that passes before Usagi becomes NQS. What happens between the end of Stars and her ascension to the throne? What about the unspecified disaster that causes the Earth to freeze over and prompts her to take the throne? I think it would be really cool if we had something like a combination of Crystal/Classic's formula- less filler than Classic, more filler than Crystal, and at the start of each season, we get a flashback from the Stars finale that shows more and more of the ''Light of Hope'', eventually showing Sailor Cosmos in full detail (with some detail changes, for example Queen Serenity has blonde hair in the anime so I think Cosmos should as well, and maybe round odangos since I personally think she's Usagi's form after NQS), and-like in Stars- these are all visions from Hotaru, and then she wakes up (then cut to the opening theme). Or we could completely nix the Light of Hope idea because it's supposed to be Galaxia's starseed (though there's definitely a way to connect it to Usagi- perhaps it manifested itself as Cosmos to bring Usagi some kind of ''the power is inside of yourself'' moment or something) and still have the Hotaru visions, or maybe even NQS is the one experiencing them in the future instead, and they keep occurring up until the Chaos Battle and she actually gains her Cosmos form. 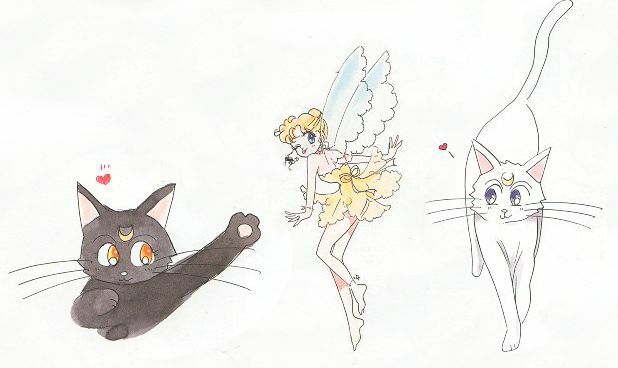 They could split episodes between the future and present time, showing Chibiusa's progression as a Sailor Senshi and perhaps even the reincarnation/awakening of the Asteroid Senshi, as well as small hints at a coming threat (which would eventually Prompt NQS' transformation into Cosmos, and like with her Super/ Eternal forms, she needs the help of the other Senshi or an artifact similar in function to the Holy Grail to temporarily acquire this form before permanently retaining it along with her Queen ''civilian form'), maybe some interaction between the royal family and Elysion. All while this is happening we're also exploring whatever causes the ice age (perhaps a new villain or some kind of issue with the Galaxy Cauldron) in present time, until the present catches up to the future and we get a final season exploring Cosmos and Chaos in the caught-up Future timeline. So basically the sequel seasons would bring the Anime to a similar place as the manga, then expand beyond it. The episodes could alternate between present and future (or maybe every third episode being future), which would leave viewers with a lot of suspense. Your ideas sound interesting Serena-Hime but I would add that the Light of Hope is not Sailor Cosmos. 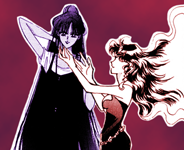 Naoko Takeuchi herself stated that Sailor Cosmos did not appear in the 90s anime and that she wished she did. The whole resemblance to Sailor Cosmos in Chibi Chibi's form as The Light of Hope was simply an homage or a red herring nothing more. So if Sailor Cosmos does exist in the 90s anime and I see no reason why she can't exist as the future form of Sailor Moon aka Usagi after when she is Neo Queen Serenity then Sailor Cosmos would have no real connection to Sailor Chibi Chibi or The Light of Hope which is related to Sailor Galaxia. 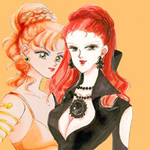 Also I would prefer for the whole Sailor Cosmos stuff to be as was done in the manga to take place after Usagi was Neo Queen Serenity as opposed to turning into Sailor Cosmos in the modern age. If you are going to give Sailor Moon an upgrade in form Princess Sailor Moon from PGSM would be an interesting choice and I made my own design for an Infinite Sailor Moon. Instead, I'd like to see Naoko put out a new art book that consists solely of illustrations showing what her conceptions of these characters would be. With all due respect to Naoko... I think it's time for her to pass her crown to a new artist. Someone creative and capable to revitalize and make the franchise relevant again. Paraphrasing Karl Lagerfeld, Usagi is exactly like Coco Chanel before he made her name relevant again: "A sleeping beauty... a snoring one." Illustration is one of Naoko's strong suits; I don't think she oughta give it up. What I do think she needs is a writing partner. Someone who can take her admittedly interesting concepts and broad ideas and execute them in a satisfying way. Naoko's biggest issues lie with consistency, characterization, and pacing and if she got someone to help her with that, the end product would be significantly improved. I think serialized story telling just isn't her strong suit. Should she decide to continue the manga, she should get a writing partner, like you suggested, and map out the complete story and work on it until it's finished, releasing it all at once in one (or more) volumes. Writing the manga one chapter at a time, releasing it in monthly increments, resulted in very uneven pacing and things obviously being made up or dropped as she went along. Approaching a continuation of the manga like writing a novel would be in her best interest. I'd suggest Kobayashi Yasuko, the writer of the entire PGSM series, to be her writing partner. Your ideas sound interesting Serena-Hime but I would add that the Light of Hope is not Sailor Cosmos. Yes you mentioned this in that comment too, but unless it's explicitly stated within the canon, it's not actually canon (even if the creator herself says it's not Cosmos); we see this in lots of different series, iirc in my reply to you last time you pointed this out I mentioned PLL because they've said 'this isn't A' multiple times but then they change the story as they go. SAILOR SEDNA, ESPECIALLY FOR ME!! However, most likely a new Sailor Guardian would be introduced if the story ever does get continued. It’s my guess that a new arc would deal with parallel universes since the story has already dealt with a galactic-wife conflict...and how do you go bigger than that? So I’m imagining a new Sailor Guardian from an alternate universe at least. To further bolster your idea, in an interview with Comickers magazine, Osabu described the themes of each arc as: the past (DK), the future (BMC), the present (Infinity), inner space (Dream - that is, the dream or internal, mental realm of the characters), and outer space (Stars). I think the logical progression would be to combine the themes of time and space into a story dealing with alternate timelines and parallel dimensions/universes. ETA: Wasn't there a musical where they met interim incarnations of themselves? Like, their reincarnated selves from the Heian era or something? I think that could be an interesting concept to explore: the girls (and Tux) traveling through time and meeting all the various incarnations of themselves that existed between the Silver Millennium and turn of the century Tokyo. Like, instead of Princess Serenity being immediately reincarnated as Usagi Tsukino roughly around 1980, she was reborn in ancient Egypt, and then medieval France, then nineteenth century Russia, etc. Maybe they all got to live multiple, ordinary lives, and never needed to awaken their Sailor powers until the 1990s. The girls (and Tux) getting to meet past versions of themselves would be an interesting way to see what parts of their identity are unique to their present day selves, and which are more quintessential. Is there a translation for that interview? I love how Osabu describes the theme of each arc and it makes a ton of sense. I’ve actually played around with that idea before in my head. The Sailor Senshi as having reincarnated throughout time as (sometimes tragic) historical figures. For example, Usagi as Marie-Antoinette, Joan of Arc, etc. I figured a grown up Chibiusa would be the protagonist, since she’s heavily associated with time travel. And there’d be some kind of enemy invading different eras. 1) Usagi and the girls meet their Parallel Sailor Moon counterparts and have to stop an enemy together. This would probably be more of a gag story though. 2) A story involving a antagonist who is essentialy an evil otaku, collecting different versions of the senshi from various universes, with his last stop being universe prime, the manga continuity. The different universes can even the ‘90s anime, Sera Myu, the tokasatsu, etc. Something that acknowledges the crazy amount of different canon. 3) A group of antagonists from an alternate timeline where Eternal Sailor Moon chose to destroy the Galaxy Cauldron. Their whole goal is to find the Silver Crystal in the good timeline so they can create a new cauldron. We see the symbols for Uranus, Venus, Jupiter, Saturn, Pluto, Neptune, Ceres, Pallas, and Juno, all of which have representative Sailor Guardians. We can also see the symbol for Chiron, the centaur/comet/minor planet. So I feel like if any new Sailors should be added, maybe we should start with Sailor Chiron. I’ve always liked the idea of a Sailor Vulcanus with the ability to manipulate metal and the one responsible for creating the three talismans and the legendary holy sword (Vulcan/Hesaphestus was a smithing god who created the weapons for Olympus gods). One of my biggest gripes with the Sailor V manga was that Ace/Danburite turned out to be really named "Adonis." Since the whole idea of his character was that he was a bitter (unrequited) lover, it would have made so much more sense for him to have been named "Vulcan" after the "real" Venus's jealous, cuckolded husband. Oh well. Which musical did they meet past incarnations of themselves? Maybe the symbol on top of Luna's speaking the planets symbols was supposed to represent Sailor Pluto and the one at the bottom was supposed to be for an unrealesed Sailor Charon who knows? That would go against established lore as Mamoru is the Guardian of Earth who possess the Golden Crystal. Had he been born female, he would have become Sailor Terra. Perhaps Naru or a new character can be Sailor Sol. If there can be a Cure Soleil, why not a Sailor Sol? Despite the name, Helios isn't the Guardian of the Sun and doesn't seem to have an overt connection to the star. I know there are theories out there claiming that either Mamoru or Helios represent the sun but those are far from canon. 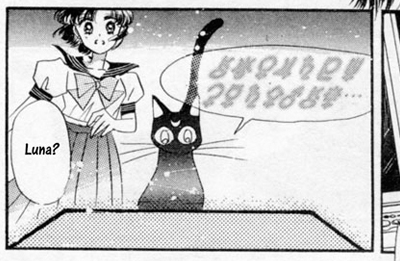 Actually I think if anyone should be Sailor Sun it should be Hina Kusaka as her name meaning was done deliberately to parallel the Solar Associations with her with the Lunar and Earthly name meanings of Usagi and Mamoru. Naru could be Senshi of another celestial object though.